The cannon sloop Diana takes the passengers through times in an entertaining fashion. The cannon sloop cruises offer fascinating history, and combine elements of drama tour, relaxed outdoor activity and sightseeing boat cruise. Welcome aboard! Book a private cruise or join a public sailing! Cannon Sloop Diana offers passengers a historical cannon sloop cruise amidst the fortress islands of Suomenlinna. 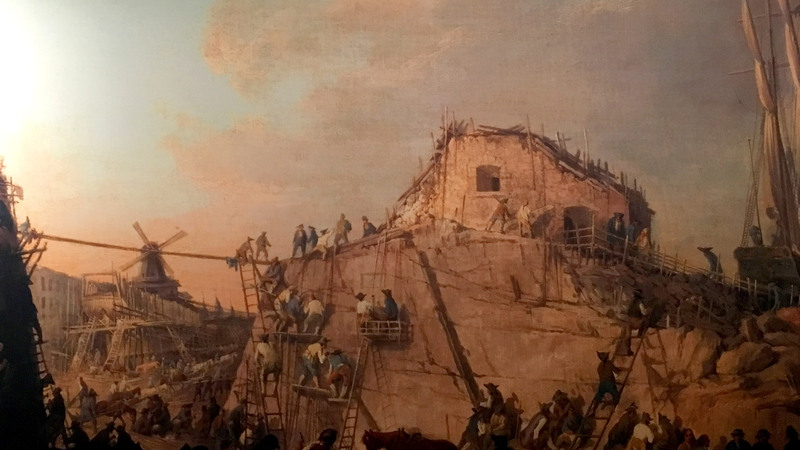 The voyage is led by no other than the most accomplished Admiral Chapman, who takes the passengers through times in an entertaining fashion, introducing them to the famous fortress and life in the navy. 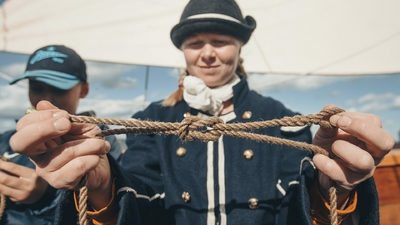 Children’s Maritime Adventure offers passangers a historical Cannon Sloop cruise amidst the fortress islands of Suomenlinna. The voyage is led by no other than the most accomplished Admiral Chapman. Welcome aboard! The Suomenlinna Sea Fortress - how to get there? Don't settle for the most common way to get to the famous 1700s fortress, but rather match your vehicle with your destination: travel over to Suomenlinna in style, that is, in the 1700s style! 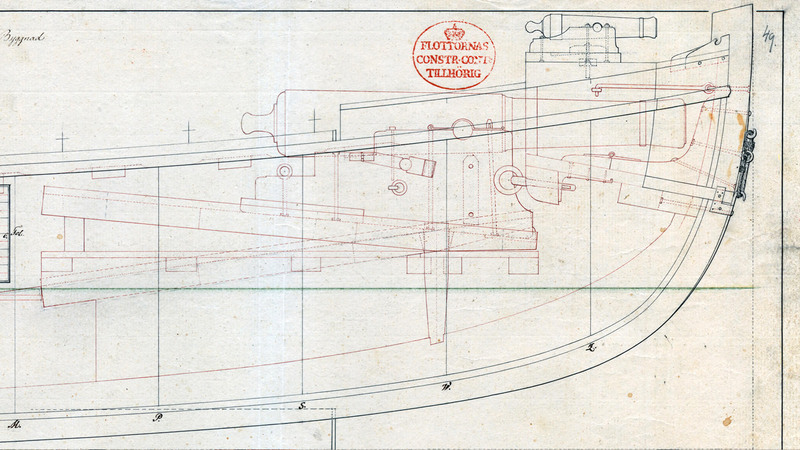 What would it have been like to row the cannon sloop that belonged to Viapori’s archipelago fleet? 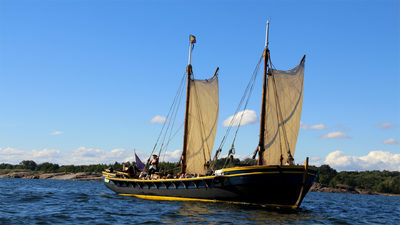 The 18th-Century Sea Adventure offers passengers a historical cannon sloop cruise amidst the fortress islands of Suomenlinna. Welcome aboard! 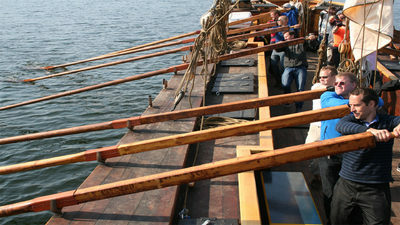 The two-hour cruise in coastal waters of Suomenlinna enjoys the unique atmosphere of a historical sailing vessel. The sea battle of Ruotsinsalmi in 1790 was a great success for Sweden and in particular for the Swedish Archipelago Fleet. 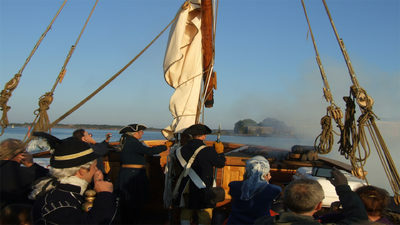 Cannon Sloop Diana, like its ancestors, offers banging cannons and thick gunpowder smoke for those thirsty for history. 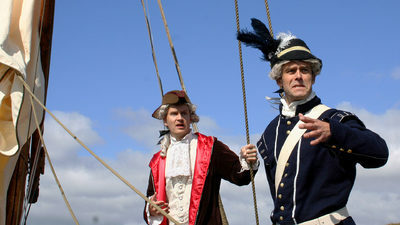 During the Children’s maritime adventure, you are familiarised with cannon sloop Diana and the 18th Century. In the 18th-Century, the Suomenlinna Sea Fortress served as a base for the Swedish Archipelago Fleet. 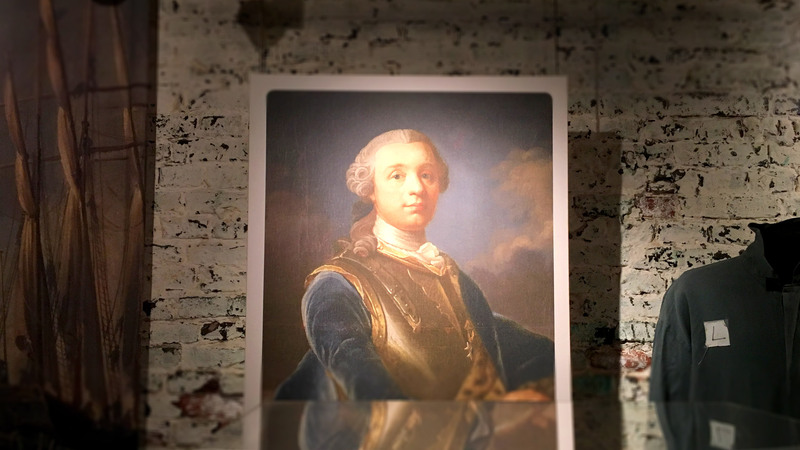 In 1790 one of the largest naval battles on the Baltic Sea, and a great success for the Swedish Navy, took place on the southern coast of Finland. The fleet’s relatively small-sized but heavily armed and cleverly operated cannon sloops and cannon boats played a major role in the battle. They were designed by the famous naval architect Fredrik af Chapman, who created a number of new types of vessels for the Archipelago Fleet, at the same time turning ship building from mere craftsmanship into science. The cannon sloop Diana is a replica of the late-1700s cannon sloops, and like its ancestors, it can be moved forward using sails as well as oars. Diana is also equipped with a novelty: an electric engine. Diana was built at Suomenlinna’s historical shipyard, like many of the original 1700s cannon sloops. 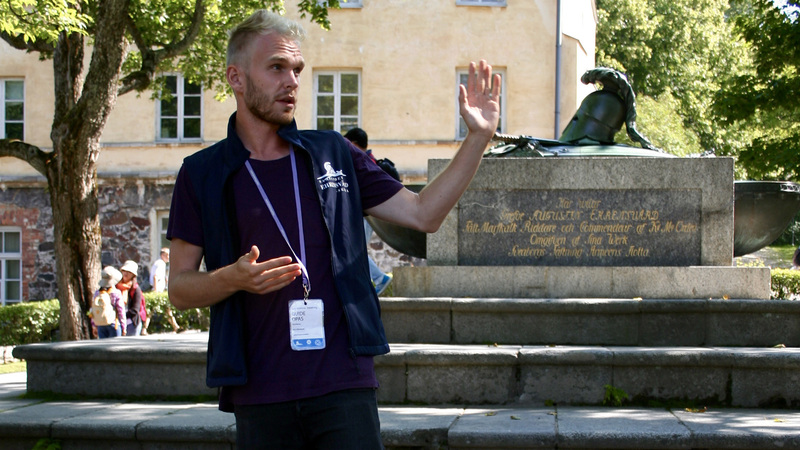 We provide a wide scale of different program at Suomenlinna. 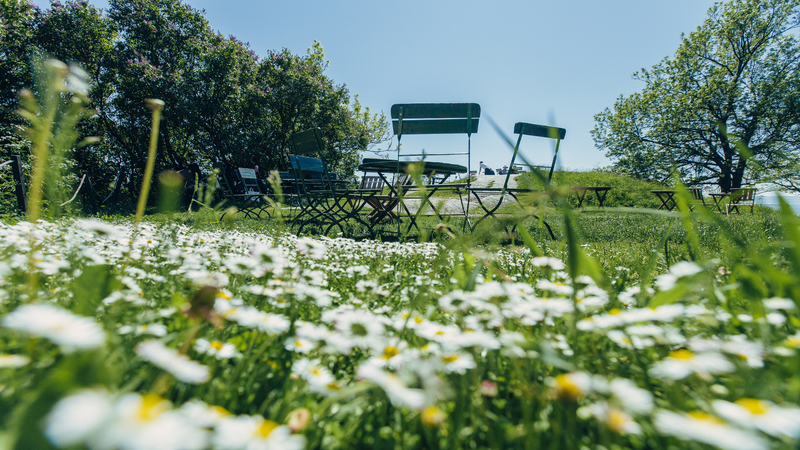 Have a look at some our suggestions for an unforgettable day at Suomenlinna!